BY ROGER CHENG MARCH 7, 2019 The J-Village hotel and sports complex in Fukushima was immaculate, its grand lobby welcoming us with bright lights and pristine marble floors. Several furnished conference rooms stood ready to host one event after another. There’ was just one jarring thing: the utter silence throughout the facility. It was our first night in the Fukushima region, and my photographer, James Martin, and my interpreter had arrived a little after 10 p.m. Initially, we weren’t sure if this was the right location – we seemingly had the only vehicle in the parking lot, and a quick search of those conference rooms found no staff. It wasn’t until we located the reception desk, tucked out of sight from the main lobby, that we found another human. The employee noted that only 15 guests were staying in the 200-room hotel. That first night proved to be one of the more memorable moments in a trip that included a visit inside one of the most radioactive hotspots in the world, a look at a massive underground ice wall and a virtual reality experience that took me to places no human could survive. It stood out because it illustrated the long way this area has to go before any semblance of normalcy can return……. Tepco and local government officials are pushing the concept of an “Innovation Coast” in the region through facilities like the Naraha Center for Remote Control Technology and the Robot Test Field in nearby Minamisoma. The idea is to tap into the investment already being made in the cleanup effort and create a Silicon Valley of robotics and drone technology. “What we want to do is turn that on its head and create a positive image of Fukushima around the world,” Akifumi Kitashima, director of the robot industry promotion unit for the Fukushima prefectural government, says through an interpreter……. there are reminders of the disaster everywhere. Drive on the nearby Joban Expressway and you’ll periodically run into signs with a readout of the radiation level. The daily weather report on the local evening news contains an update on the radiation in the area. I periodically drove past fields containing hundreds of bags of radiated dirt. The future of all life: Indigenous sovereignty and the Fukushima nuclear disaster, Bay View, National Black Newspaper, by Harun Minhaj, March 4, 2019 “………..As the Caretakers of Mother Earth have warned, the nuclear establishment has been working tirelessly to cover up and downplay the consequences of this nuclear disaster. The University of California has long played an essential role in this establishment, as it designed the core physical package of every single nuclear warhead in the U.S. arsenal. And now, formerly secret documents show that UC played an indispensable role in the federal response to – and cover-up of – the Fukushima nuclear disaster. THE ASAHI SHIMBUN, March 1, 2019 Local governments in Fukushima Prefecture have spent billions of yen to create ideal education environments, including new or renovated school buildings, high-tech classes, free lunches and uniforms, and long-distance buses. But these schools may be forced to close down. There just aren’t enough children in areas near the Fukushima No. 1 nuclear power plant to sustain their operations. The intricate network of small metal pipes, capped off by six-foot-high metal scaffolding, shouldn’t stand out amid the numerous pieces of industrial equipment littered throughout the Fukushima Daiichi Nuclear Power Plant. After all, it’s a power plant. e intricate network of small metal pipes, capped off by six-foot-high metal scaffolding, shouldn’t stand out amid the numerous pieces of industrial equipment littered throughout the Fukushima Daiichi Nuclear Power Plant. After all, it’s a power plant. ………. The structure, which cost roughly $300 million, paid for by public funds, serves as critical protection, defending the Fukushima area from one of the most radioactive hotspots in the world. While Tokyo Electric Power Co., also known as Tepco, struggles to find a way to remove radioactive material from the facility – a process the government estimates could take more than four decades — the more immediate concern is what to do with the contaminated water leaking out from the facility………. While the term “ice wall” has a colorful ring to it, engineers use the more academic-sounding term Artificial Ground Freezing. …… calcium chloride solution is pumped down through a smaller inner pipe, and circulated back up a large outer pipe. Until then, they need a way to slow or stop the flow of water into the facility. ……. With the wall in place, Tepco says it has been able to reduce the level of contaminated water generated from Daiichi. But a Reuters report in March 2018 found that the wall still let a fair amount of clean water in, adding to the volume of toxic water the company needs to deal with. Tepco, however, says it’s been effective in reducing the volume. ……. So far, treatment technology from partner companies like Kurion and Sarry have enabled Tepco to remove 62 of the 63 radioactive elements from the water, but one, tritium, remains. …….. organizations such as Greenpeace have called for Tepco to keep storing the water, noting that much of the early batches of treated water far exceed safety limits for radioactive elements. …….. 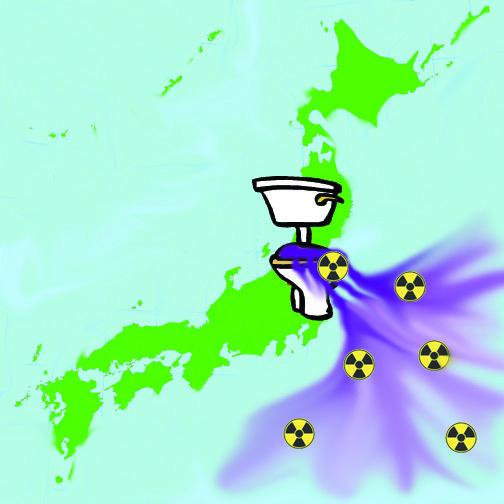 The scientist explains that Japan has set a legal radioactivity limit of 60,000 becquerel per liter of tritium. But the treated water is still at 1.7 million Bq per liter, or roughly 30 times what’s deemed safe. https://www.nippon.com/en/news/yjj2019030601012/8-years-on-tainted-soil-use-plan-draws-backlash-from-fukushima-residents.html Mar 8, 2019 Minamisoma, Fukushima Pref., March 8 (Jiji Press)–A plan to use soil from decontamination work in areas tainted with radioactive substances from the March 2011 nuclear disaster in Fukushima Prefecture is facing a strong backlash from local residents. Under an envisaged feasibility study program, the Environment Ministry aims to use the soil for public works projects and examine its safety. The ministry apparently hopes to reduce the amount of tainted soil to be transferred to a planned final disposal facility. This sounds like a good idea. But – can we really be confident about science done by Atomic Energy Agencies , whose brief is to further develop atomic energy? OXFORD, England (Reuters) 8 Mar 19, – Eight years after the Fukushima nuclear meltdown in Japan, radioactive particles collected from the site are undergoing new forensic investigation in Britain in an effort to understand the exact sequence of events……. For Fukushima’s nuclear disaster, robots may be the only hope, The 2011 meltdown in Japan is still too hot for humans to handle. Send in the machines. CNet BY ROGER CHENG, MARCH 4, 2019 ………. I’m inside the cavernous top of the Unit 3 reactor in the Fukushima Daiichi Nuclear Power Plant. 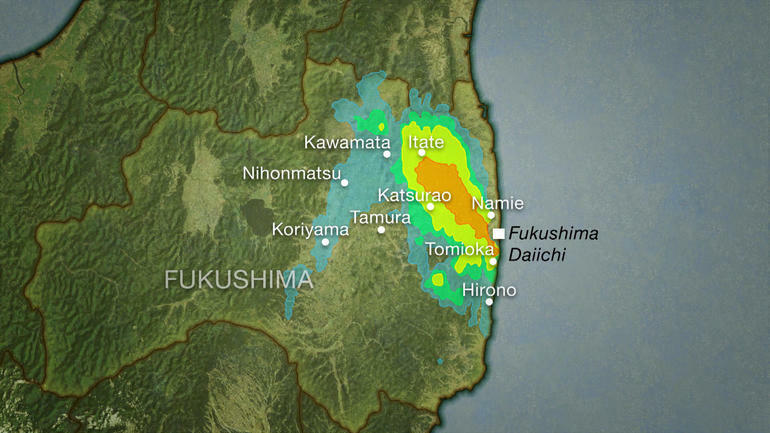 Yes, that Fukushima Daiichi, site of the world’s worst nuclear disaster. Fukushima wild boar leather baby shoes? 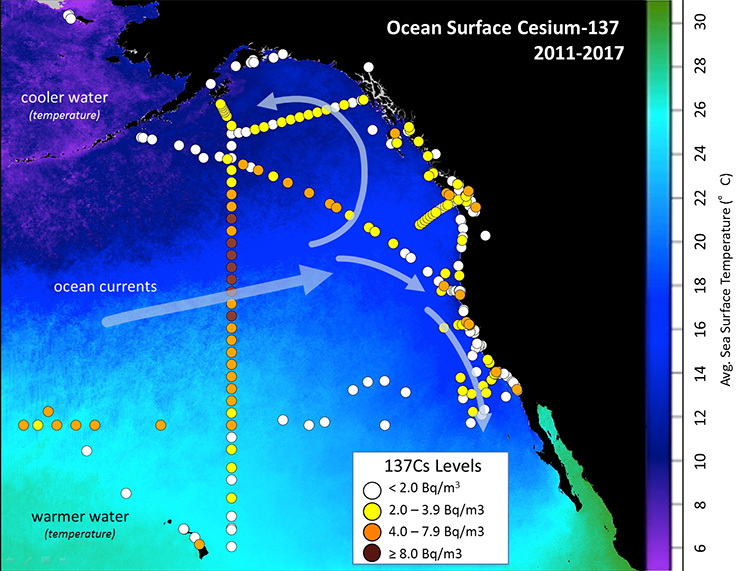 Remote-Controlled Probe Picks Up Radioactive Debris At Fukushima For The First Time https://www.gizmodo.com.au/2019/02/remote-controlled-probe-picks-up-radioactive-debris-at-fukushima-for-the-first-time/George Dvorsky. Feb 15, 2019 Tepco, the state-owned operator of the badly damaged Fukushima nuclear plant, has conducted an important test in which a remote-controlled probe managed to grasp several small grains of radioactive debris, AFP reports. The successful operation marked an important achievement for the company as it prepares for a cleanup operation that could take decades. The primary challenge, of course, is dealing with the intense radiation emanating from the melted fuel. Two years ago, for example, a robot became unresponsive after just two hoursin reactor No. 2; there’s enough radiation down there — approximately 650 sieverts per hour — to fry a person within a few seconds. The episode showed that technical advancements will be required to make robots more resilient to radiation near the core, and that the cleanup will likely take longer than expected. Early last year, a camera attached to a remote-controlled probe was sent into reactor No. 2. 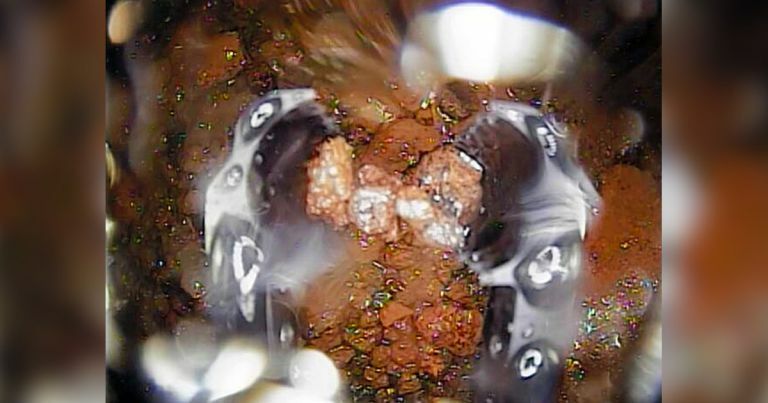 Images confirmed that fuel debris had melted through the reactor pressure vessel (RPV), also known as the reactor core, dripping down into a collection chamber known as the primary containment vessel (PCV). Images of the chamber showed pebble and clay-like deposits covering the entire bottom of the PCV pedestal. This accumulated waste, along with similar piles at reactors No. 1 and 3, needs to be cleaned up, and Tepco is currently trying to determine the best way of doing so. To that end, the state-owned company devised an operation to see what that material is like and determine if it can be moved. On Wednesday February 13, Tepco sent a probe equipped with a remotely operated robotic hand down into the No. 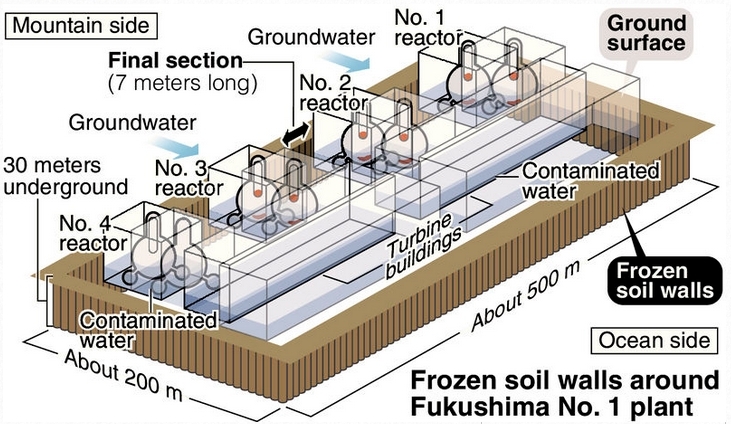 2 lower chamber, Japan Timesreports. No radioactive debris was removed from the chamber, but the eight-hour-long operation showed that some of the melted fuel can be moved — an important bit of evidence that will inform future plans to clean up the plant. But as the Japan Times noted, one of the six areas explored by the probe contained debris that had solidified into a clay-like substance, which the robotic hand was unable to grasp. Future robots will need to slice or saw through this material such that it can be removed. That won’t be easy. If that all sounds overwhelming, well, it is. As we’ve said before, when nuclear power goes wrong, it really goes wrong.